I saw some pictures the other day of Mobama wearing a dress with this exact same print. 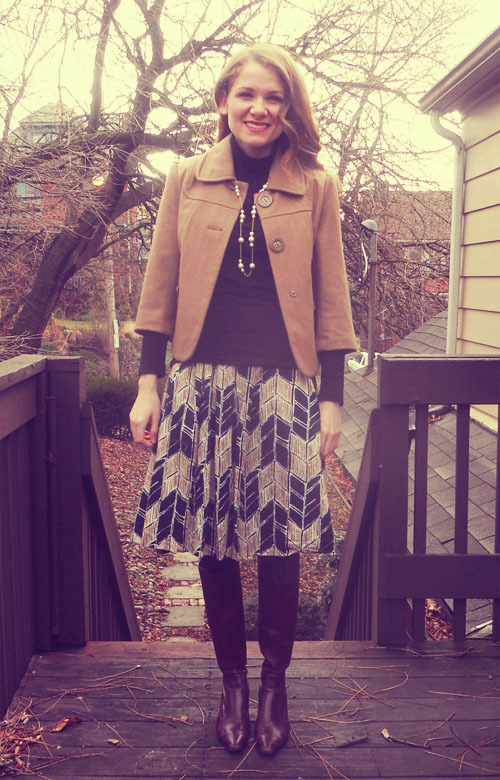 I purchased my skirt at a consignment shop (originally from Target). I was happy to see we share the same excellent taste. Either that or Michele is reading my blog for style tips. I am going to go with that option. Just to see how it feels for a few moments. 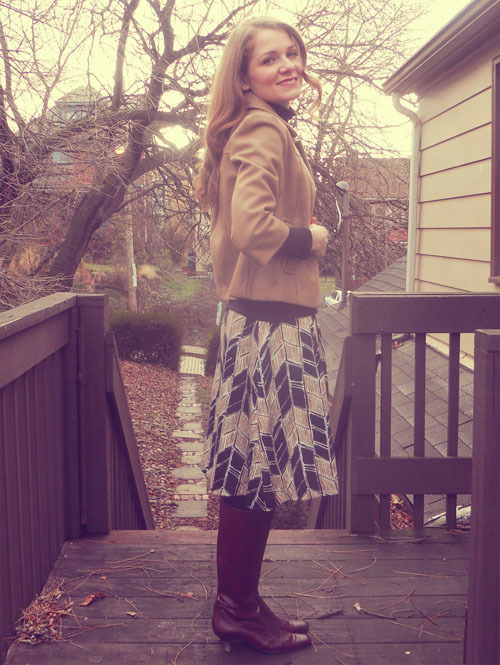 This skirt and jacket were two of my best finds from my local consignment shop, which is closing (insert sad face). The skirt was a little big, but I fell in love with the print so I took it to my tailor to have it taken in. I love the results!